Track 13 : recorded live at the Whisky-a-Go-Go. Track 14 : recorded live at the Summerfest-Milwaukee, WI. This 14 track 2004 release includes various demos, a few live tracks and B-sides that did not make their 1992 Capitol Records debut "Under the Influence". 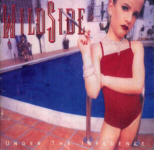 The band also released WildSide "Wildside" on TNT Records in 1995. 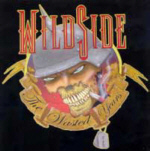 In 2004 WILD SIDE reunited with 4/5 of the original line-up. Drew Hannah (vocals), Brent Woods (guitars), Marc Simon (bass) and Jimmy Darby (drums) for some re-union dates. "Clock Strikes" co-written by Paul Stanley.